A Utah man gave his Mormon parents a great picture of Ewan McGregor as Obi-Wan Kenobi for Christmas. However, he told them that it was Jesus and did not disclose that he was the powerful Jedi master from the Star Wars franchise. The man, who only wanted to be identified as Ryan, says that his mother even hung it on the wall at the family home. Ryan videotaped his parents opening the gift and shared pictures of the painting on the wall, but he has since deleted his Reddit account and taken down the video from YouTube. Reddit around Christmas time is usually a bunch of users sharing what they received from friends and loved ones and a bunch of memes, but Ryan from Utah decided to shake things up after filming himself give his parents the Obi-Wan Kenobi painting. The religious-looking painting in question has made the rounds on social media for a while now, which gave Ryan the idea in the first place. Ryan admits that he watched Star Wars growing up, but said that his parents had not seen it. Video of Ryan's parents opening the painting of Obi-Wan Jesus quickly went viral and it appears as though he may have gotten into some trouble for sharing the video online. He has since deleted it, but it featured the awkward moment of his mother examining the painting while his father looked on. Ryan grew up with pictures of Jesus around the house, so he figured that his parents wouldn't know what was going on, and he was right. Ryan had this to say about the idea. "It stuck out to me as looking like a picture we had growing up of Jesus. I kind of chased that thought to, how funny would it be if my parents didn't recognize who it was and actually hung it up on the wall. I have always tried to get away with things or pull some pranks on my family members and this seemed perfect." After opening the Obi-Wan Jesus painting, Ryan's mother hung it on the wall, only to later notice that something was off about it. 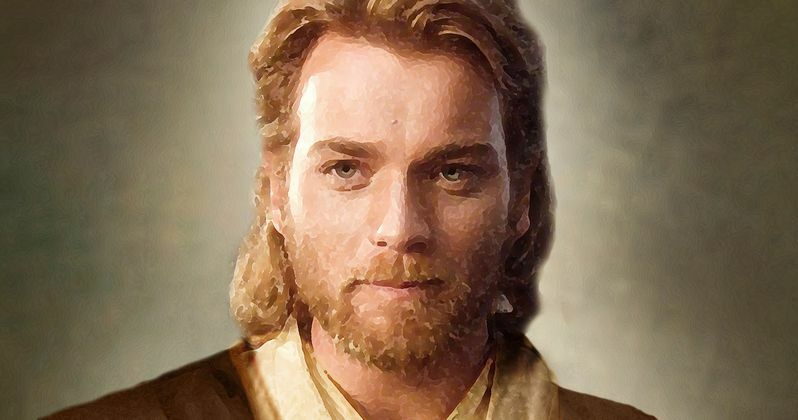 This isn't the first time that Ewan McGregor has made it into a house as Jesus. Last year, a man pranked his grandma with an image that looks even more like Jesus than the one that Ryan used. However, Ryan's parents had an easier time figuring everything out. He explains. "He (Ryan's dad) said that this morning they walked past it and my mother said something along the lines of there is something off about that Jesus picture. I'm not totally sure I like it. Which went hand in hand with what she looked like as she opened it. She knew something was off but wasn't sure what. My dad kind of hung around saying it looked really familiar to him. He said it almost looks like Obi-wan Kenobi. But figured it was just coincidence." As of a few days ago, Ryan had let his dad in on the joke, who reportedly thought that it was very funny. But, since everything has been removed, it appears that his mom was not too happy about the prank, which has been upvoted over 100,000 times on Reddit. As with almost everything from the internet, it's never truly gone, so you can see the painting on the wall and the original video below. You can also see the original post on Reddit.